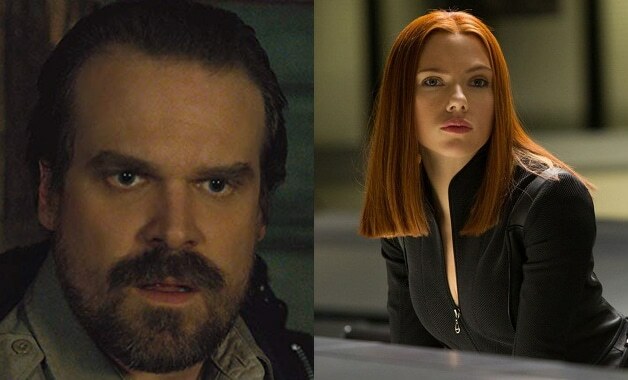 David Harbour and Rachel Weisz are the newest additions to the cast of Black Widow, alongside Scarlett Johansson and Florence Pugh. Hollywood Reporter announced that the Stranger Things Sheriff will play an integral though yet secret role in this stand-alone Marvel film. Harbour is well versed in superhero flicks, as he takes the lead in Hellboy as it hits theatres this Thursday. In 2016 he joined the DC Universe with Suicide Squad,but his superhero career started in 2011 with The Green Hornet. Black Widow will be a foray in the genre for Rachel Weisz, after being nominated for an Oscar earlier this year for her performance as Sarah Churchill in the queer period-drama The Favourite and winning the Academy Award in 2006 for her supporting role in The Constant Gardner. The star is rumoured to be joining the cast but news is yet to be confirmed. To direct Scarlett Johansson’s outstanding Natasha Romanoff will be Cate Shortland, making Black Widow the first solo-female directed MCU film, as well as the second female-lead entry into the universe. Also in talks to join the Marvel movie is Academy Award, Golden Globe and BAFTA winner Rachel Weisz, and her role is also being kept under wraps (via Variety). Weisz is fresh off a competitive awards season where she earned yet more major nominations for playing Sarah Churchill in The Favourite. It was recently announced that Fighting with My Family star Florence Pugh would have a key role in Black Widow, too. Upcoming English star Florence Pugh has also joined the cast. We have seen her previously this year in Fighting with my Family. Since playing an amateur spy in that show, Pugh had a supporting role as the queen consort Elizabeth de Burgh in Netflix’s Outlaw King and played WWE star Paige in Sundance Film Festival hit Fighting with My Family. She’ll next appear in the star-studded remake of Little Women. Black Widow is going to make history by having the Marvel Cinematic Universe’s first-ever solo female director, in Berlin Syndrome and Somersault‘s Cate Shortland. The film doesn’t yet have a release date since Marvel is holding off announcing all future plans until after Avengers: Endgame and Spider-Man: Far From Home. We will next see Black Widow in Avengers: Endgame, out in cinemas the 25th April. Watch the trailer below.